A graduate student at Wright State University has been selected to serve on a state military education council. 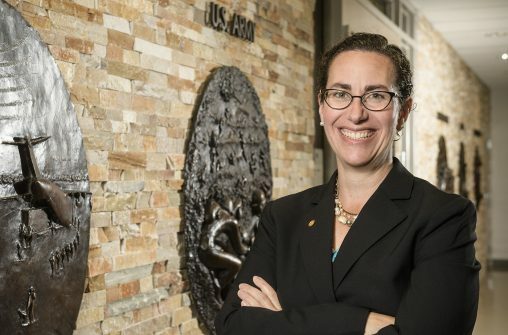 Erin Lunday has been appointed to the State Council on Educational Opportunity for Military Children, which hears cases for the Military Interstate Children’s Compact, according to WSU. The compact works with schools in the U.S. and other countries to ensure the records of military children are transferred effectively and efficiently. The council meets once a quarter to discuss issues and how they can be resolved, according to the university. Lunday, who is a doctoral student in Wright State’s organizational studies program, was a military child, is a veteran and is married to a member of the military. As a military child, Lunday moved a lot and lived in Germany, Florida, Virginia and New York before coming to Ohio, according to WSU. “I think that since I’ve had that background of experience as a military child, but I’m also a mother of a military child, I’ve also served myself and worked in several positions as an advocate for military children, that’s really what brought me to this place,” Lunday said in a release.